The Automated Clearing House, otherwise known as ACH, is an electronic network that facilitates financial transactions throughout the United States. The system processes large volumes of both credit and debit transactions and offers business owners and consumers a number of different benefits. According to The Federal Reserve, the ACH is an electronic payment system that fosters payments ranging from online bill pay to direct deposits of payroll checks. An ACH payment is initiated when a customer authorizes an institution, organization, or another customer to debit a specified amount directly from the original customer’s check or savings account. The electronic payment is initiated as payment for the purpose of a bill or other debt. To institute ACH payment, the customer must first authorize the organization, institution, or individual to debit from their personal bank account for the amount due. The given authorization must adhere to the requirements of the ACH operating rules and be in the form of written and signed documentation or an electronically displayed agreement. 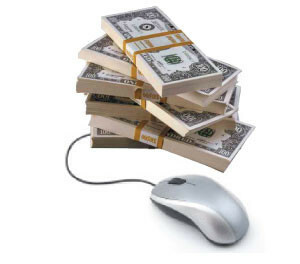 At present, ACH supports payment in the form of electronic check or check conversion. How Are ACH Payments Different from Credit Card Payments? While ACH payments may seem relatively similar to credit card processing, they are actually quite different. One of the primary differences involved with ACH payments is that the network is unable to provide real-time authorization of funds. Before approval, the ACH payment must be checked for the appropriate format as well as other ACH specific information before a payment is approved or settled. Once initiated, the status of a payment changes throughout the lifecycle of the payment once debtor settles the statement. In this process a Return or a Notification of Change can also be processed. This is common with the use of Paypal. When Are ACH Payments Used? How Has ACH Changed Over the Years? The ACH Network was initially established to meet the need of a more cost-effective and faster form of processing payments. Upon its conception, it was under-utilized, but the network has seen surmountable growth over the past couple of years. In 2012 alone, the ACH Network volume grew to nearly 22 billion electronic payments. This is a growth of nearly 4 percent, according to NACHA. Looking at consumer-initiated payments alone, the growth for 2012 was over 4.6 percent. The Automated Clearing House is a system that was birthed out of the idea of making financial transactions simpler and easier. The system has grown over recent years and will only continue to grow. ACH payments are subject to significantly more stringent rules to make sure that consumer and business funds are secure. Even so, the Automated Clearing House is often faster and less costly than other forms of payment, which is a major benefit to both businesses and consumers.